← Do Water Softeners Remove Contaminants From Drinking Water? Regular maintenance is imperative for all appliances in your home, and your water softener is no different. Routine flushes, salt refills, cleaning, and more are all a major part of proper water conditioning care. Also, hiring a professional water softener technician once per year is strongly encouraged because they retain the proper tools and training to implement accurate diagnostics, needed services, or part replacements for your unit. For everyday maintenance and care, there are five ways to keep your water softener healthy and efficient. Continue reading to learn these five recommended techniques and maintain soft water all year round. To keep a clean tank, always use pure salt, never rock salt. Although rock salt is cheaper, it is damaging to water softeners. Not only does it contain damaging contaminants, it can create a buildup of sediment at the bottom of brine tanks, which clogs injectors and control valves, reducing a unit’s performance and wasting energy. Pure salt is worth the extra few dollars and saves homeowners costly repairs and part replacements down the line. It is tempting to add salt to your water softener before it actually uses it all up. It’s so easy to just scoop and fill, or even dump! But this is problematic, so you should always practice patience and only add salt to your water softener when the salt levels are low enough (almost gone). And be sure to never fill your tank more than two-thirds full! Once per year, use an iron remover product like Iron-Out in your water softener tank. This will clean the resin beds, as well as, the parts in the unit’s control valve. The product will come in a powder form, available at most hardware stores and in the cleaning isle at the supermarket. Also once per year, it is important to clean out the water softener brine tank. Although it is recommended to not use rock salt because it contains contaminants, pure salt contains some contaminants too, but they are not as harmful as rock salt. For this reason, the brine tanks requires a thorough cleaning one time every year to promote optimal unit performance and longevity. Regularly check that your water softener’s drain line is not pressed into a floor drain. The drain line needs to stay ABOVE the grate of the drain, otherwise there could be accidental siphoning of sewage in the unit. Call 317-537-9707 for professional water softener services in Indianapolis. We offer a wide range of water softener services, including repair, installation, maintenance, replacement, and more. Whether residential or commercial, our highly trained and experienced technicians can service any make or model water softener in a time frame that’s convenient for you. 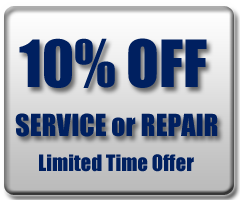 Call us today at 317-537-9707 for more information about water softener maintenance and repair in Indianapolis, IN. This entry was posted in water softeners and tagged Water Softener Installation, water softener maintenance and repair, water softener repair, water softener services, water softener services Indianapolis, water softener tips, water softeners. Bookmark the permalink.